March Bulletin – Tips, Updates and Product Spotlight! 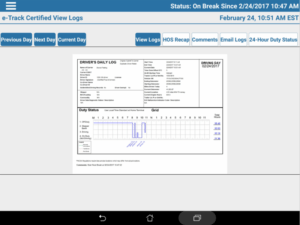 If you track Hours Of Service (HOS) on paper logs, you are affected. Our eTrack Certified solution makes compliance easy for you and your drivers! 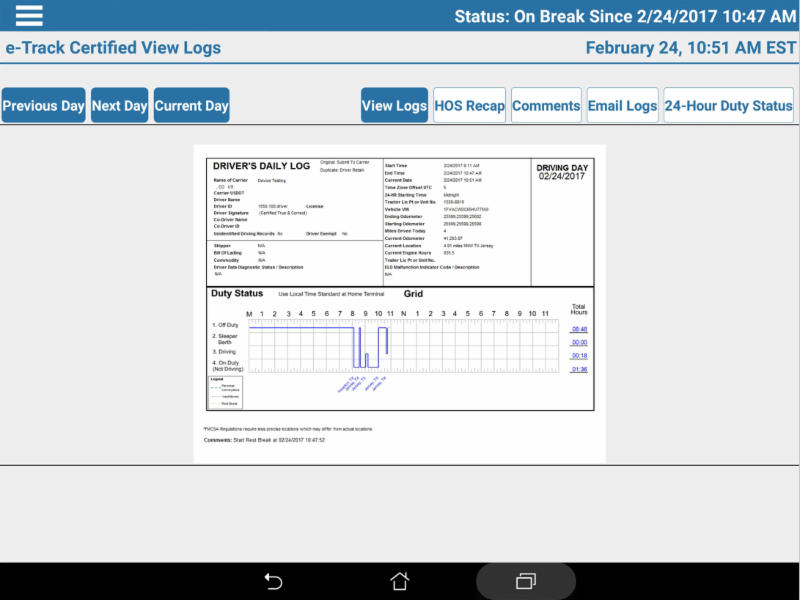 Intuitive user interface makes it very easy for drivers to change their status, perform pre-trip inspections and know their HOS status! Rule sets can be determined automatically by trip type and location of the vehicle! Set-up alerts and get notified before a potential driver violation occurs! Application will not allow the driver to operate the device while the vehicle is moving! Wish you could have a SkyEye GPS report in your inbox first thing Monday morning? Watch this 2 minute video on how to schedule a report. Mileage by State: Displays the Details of Device Mileage Per State. Use this Report for Government Fuel Tax reporting. Speed Exception: Displays sessions that generated Speed Alerts within a given date range. Use this Report to view a snapshot of any vehicle exceeding a speed threshold. Start/Stop Summary: Displays Start/Stop Times & Locations. Max Speed and Distance covered for each trip within a given date range. Use this Report to quickly identify Stop Duration and Speeding. Alert Report: Displays a list of all configured Alerts generated within a specific date range. Use this report to quickly identify exceptions presented through the Alerts. 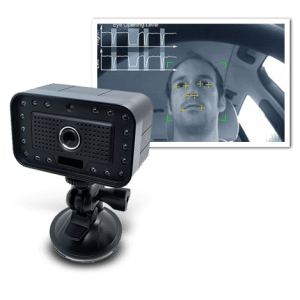 A small infrared camera monitors the driver’s habits in the vehicle. It is able to determine if their eyes begin to close or if they take their eyes off the road for an unsafe amount of time. An audible alert will tell the driver to pay attention to the road and can alert management through the GPS Fleet Management System.